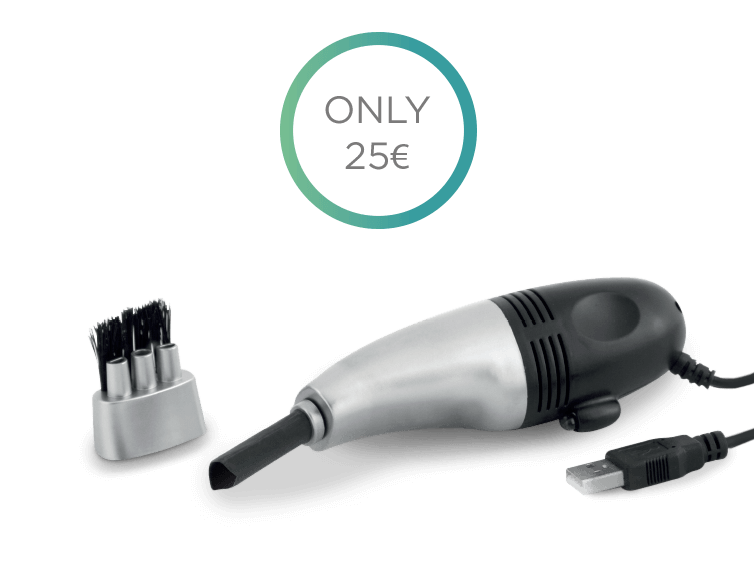 KEYBOARD HOOVER WITH 2 SUCTION SPEEDS, IT INCLUDES ACCESSORY BRUSH. WITH LED LIGHT TO ILLUMINATE. 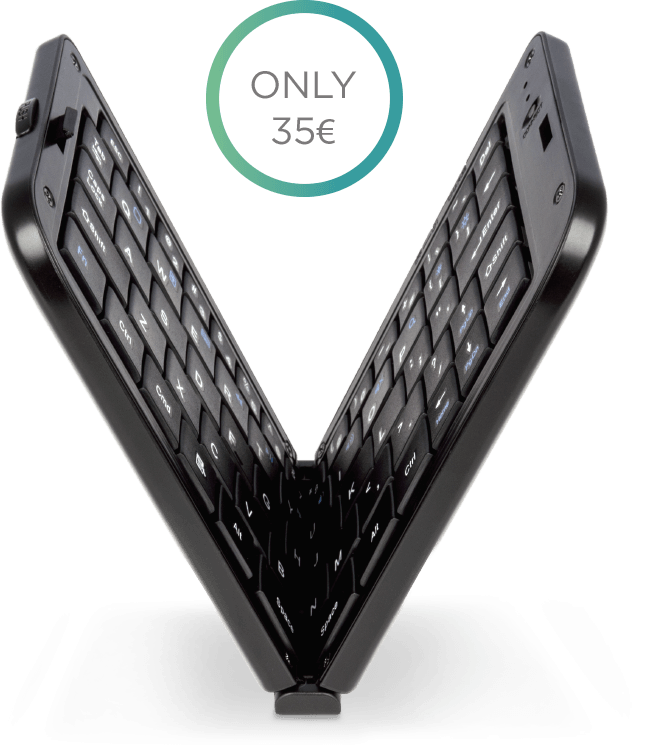 THIS BLUETOOTH KEYBOARD, COMPATIBLE WITH TABLETS AND SMARTPHONES, CHARGES BY USB AND IT WILL OPERATE FOR 8 HOURS WITHOUT BEING CONNECTED TO THE POWER SUPPLY. 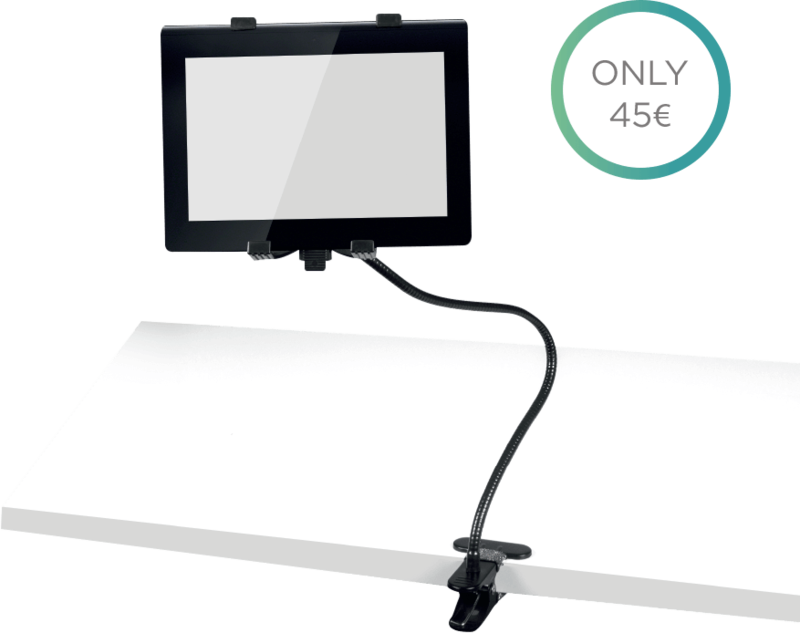 FLEXIBLE ARM FOR TABLET, WITH FASTENING GRASPER AND ADJUSTABLE ADAPTOR. 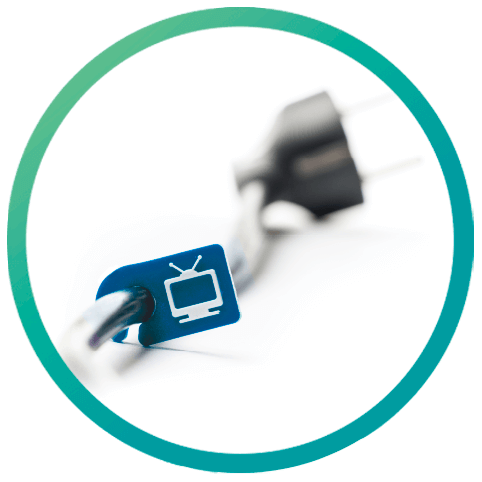 Foldabits arises from the consumers’ needs. Its ergonomic and modest design will be the best allies to provide your smartphone with the perfect fastening. 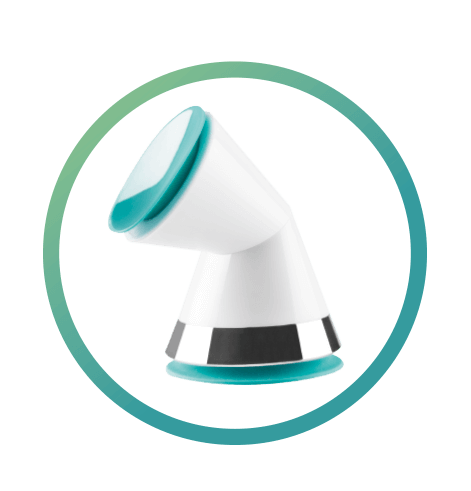 It features a moving head to redirect your device without unsticking the suction pad from the base. DON’T GET IN A MESS WITH YOUR CABLES AND EASILY TELL THEM APART ACCORDING TO THEIR FUNCTIONALITY.